Technology Services of Iowa, LLC: Win An HDTV! 2015 is going to be an exciting year and we're keeping score. 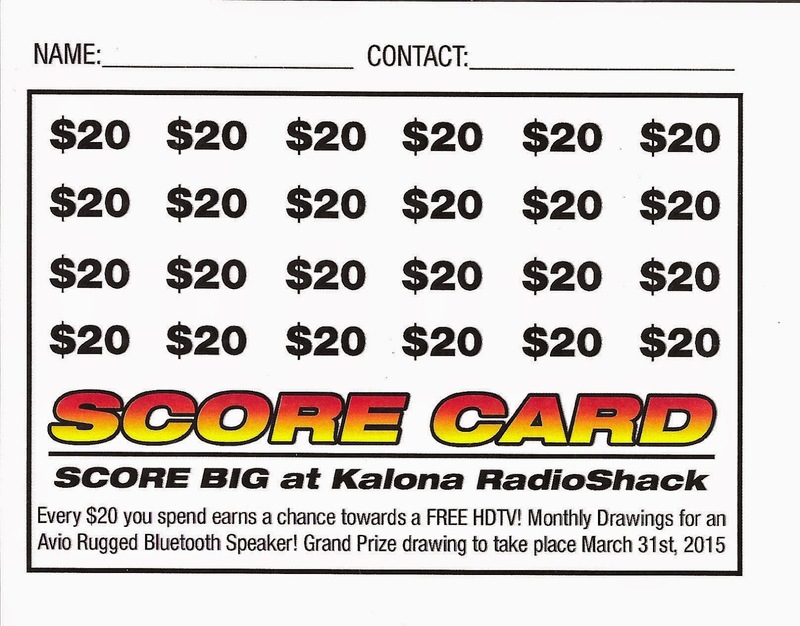 Every $20 you spend at Kalona RadioShack earns a chance towards a FREE HDTV to be given away March 31st, 2015. We'll also be holding monthly drawings for an Auvio Rugged Bluetooth Speaker. All you have to do is shop locally, with Kalona RadioShack, and we'll take care of the rest. Every time you make a purchase we'll punch your score card and keep it safe. The more you spend, the better your chances.